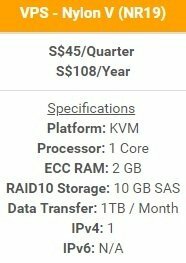 Special Tuugo Offer for Nylon V (NR19) Plan - S$108/Year! Alpex is an international trading company with a diversified product portfolio. Our aim to is bring outlast products for the various industries that we cater to. Alpex products confirm to strict international quality standards and it has extensive national presence. Nobel Design Holdings Pte Ltd is a renowned industry leader in lifestyle furnishing. The group has established itself as a reputable and well-regarded name in the industry for top-class design consultancy for interior and space planning for both commercial and residential projects.